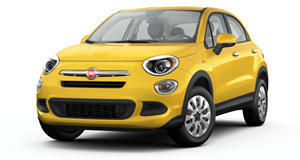 City car inspired, but on a much grander scale, the Fiat 500X is a crossover that shares underpinnings with the Jeep Renegade. There’s a choice between two engines, a 1.4-liter turbo 4 with 160hp and a 2.4-liter naturally aspirated 4-cylinder worth 180hp. 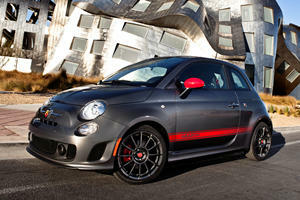 The smaller engine gets a six-speed manual gearbox, though the bigger motor can only be had with a 9-speed auto. Front wheel drive is standard, but the 500X can be equipped with all-wheel drive. Available safety features include reverse cameras, blind spot monitoring, and standard ABS and stability control. Could this mean Fiat's time in the US is limited? 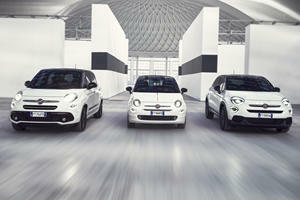 The trio of special-edition Fiat 500 models will be showcased at Geneva next month. 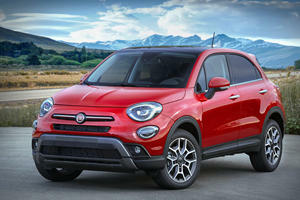 Fiat’s facelifted crossover will go on sale in the US next spring.